Bánh ướt is a dish that like much Vietnamese cuisine escapes notice somewhat because of its similarity to other dishes – rice noodles with fresh bean sprouts, herbs, fish sauce and a garnish of meat – yet is unique enough to qualify for its own name. Literally translated as wet cake, the secret to its deliciousness lies in its simplicity. 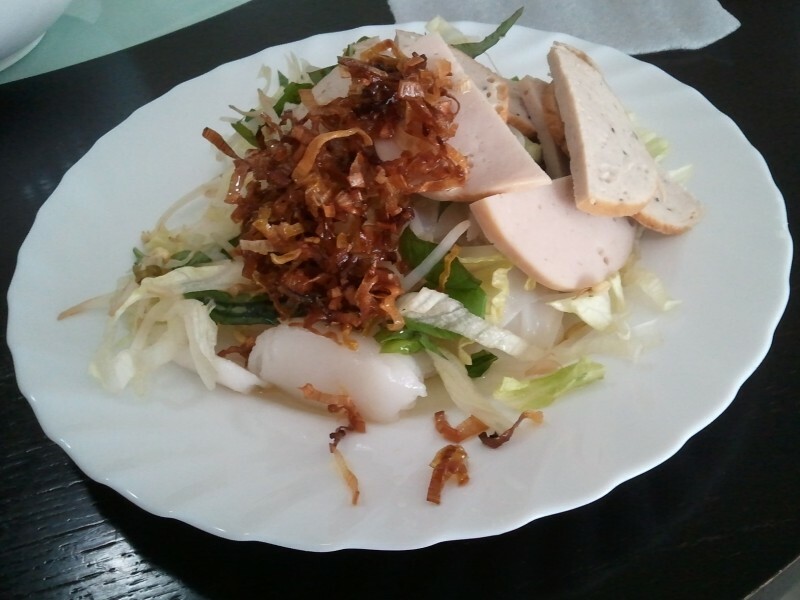 The difference here is the rice noodle – typically large, sheets of elastic, oily rice noodle are rolled into loose scrolls that form the base of the dish bearing the same name. The familiar greenery is accompanied by some Vietnamese meatloaf-like stuff usually derived from pork but occasionally from fish as well – it is especially good deep-fried. Bánh cuốn is nearly identical but instead of plain rice noodle rolls there is usually pork mince and mushroom folded in between the sheets – another favourite of mine.